StreamWIDE’s PTT applications, the cloud based Team on the Run and the on-premise solution Team on Mission represent two of their leading solutions that provide a secure and encrypted communication platform. Both, deliver a highly robust and customizable communication feature set of Mission Critical Push to Talk (MCPTT), Video, Data and File Sharing. Furthermore, the application also provides additional ways to communicate from multimedia messaging, Secure VoIP Calls to digital forms that can be customized to the respective business processes. The following user guide will show the steps to get the most out of Team on the Run or Team on Mission when using a AINA’s wireless PTT accessories. Note! 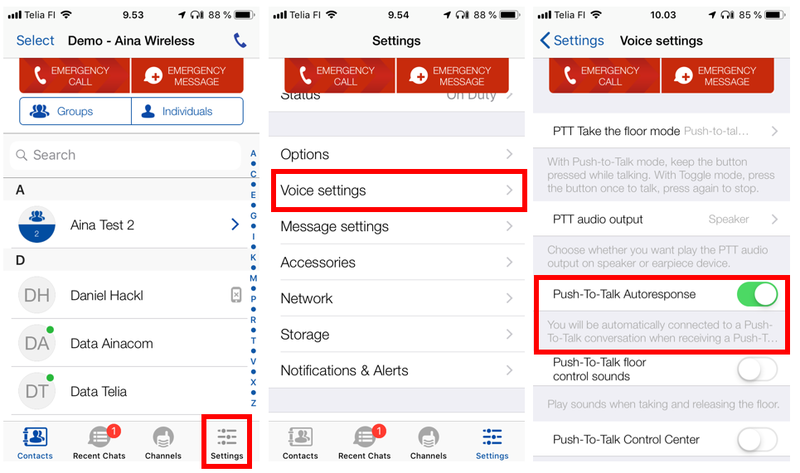 If you have a PTT Voice Responder, you have to pair it to your phone on the OS level before following the steps below. 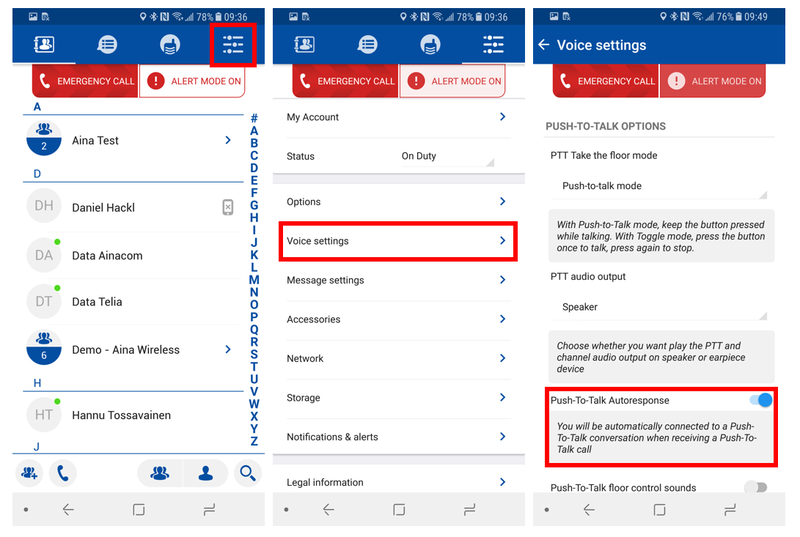 Multifunction button (PTT Voice Responder) - Press to accept and end PTT calls.